GA: includes one general admission ticket. General admission seating is not reserved. 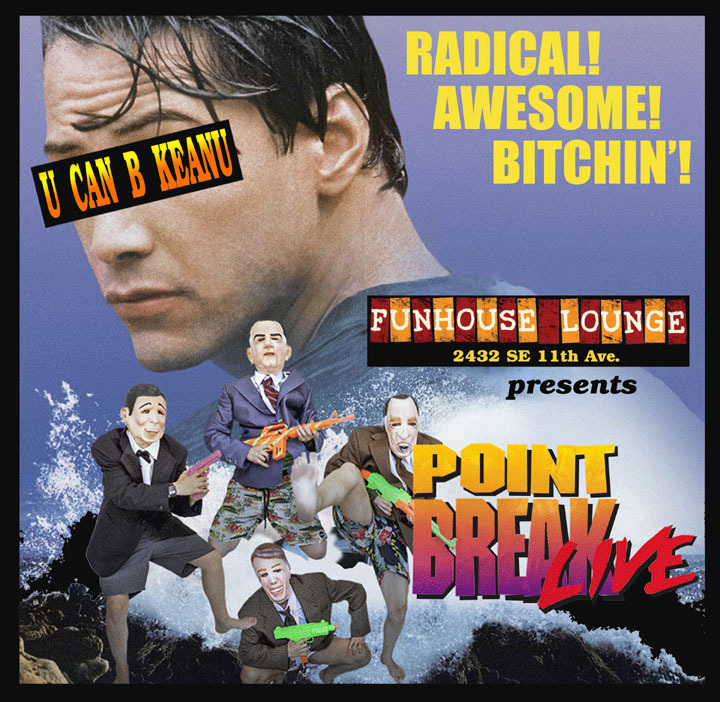 VIP: includes front of house seating and an interactive Point Break Live survival kit! Reserved booth: includes 5 admission tickets at a reserved booth. Booths seat up to 5 people. If you want to try to squeeze a 6th in there, it is up to you but you have to purchase an extra GA ticket. A: You DO NOT need physical tickets to present. Though please have your confirmation email handy (you can print if you like or on your phone) when you check in.